It's time for a simple, agile hybrid cloud and Cloud Ingenuity can help you build a customized hybrid cloud solution so you can enable stakeholders success, by automating IT Service level objectives and frameworks around applications. All while automating retention and security application policies centered around your IT governance and compliance. Your business is asking you for cost effective solutions that are agile, innovative and easy to use. Cloud Ingenuity can help you define your cloud strategy, and optimize the infrastructure and applications with automation. • Leverage workloads in any environment to maximize ROI and TCO. IT’S DIFFICULT TO SEE IN THE DARK WITHOUT A LIGHT. Gaining insight into your infrastructure is critical to operating, however thorough hybrid cloud management you will gain the tools necessary to operate, monitor and manage. 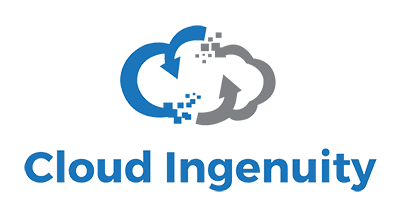 Cloud Ingenuity will set you up to succeed.